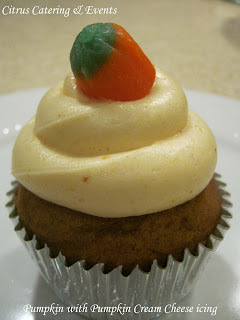 Citrus Catering & Events: The Foodie Blog: Midweek eats: Pumpkin time! They turned out perfect! I'll be adding this baby to my holiday line up for sure. 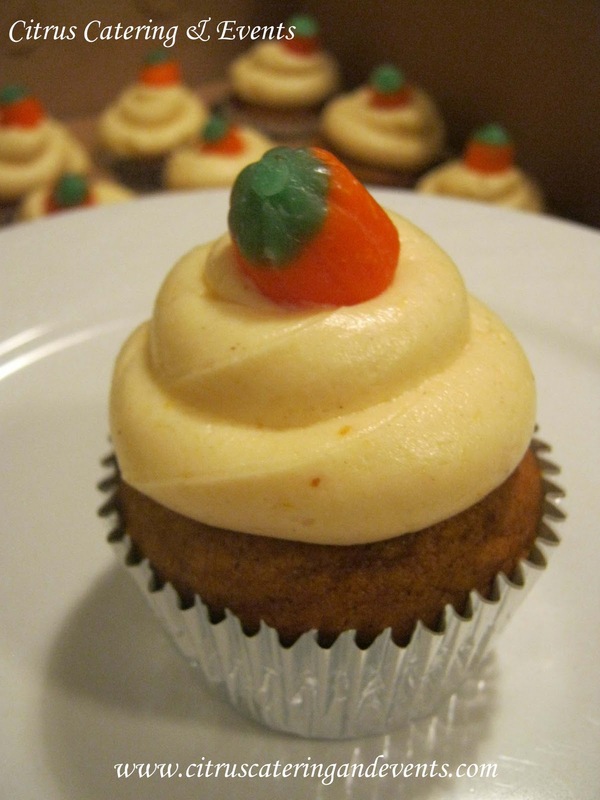 They have that wonderful pumpkin spice flavor and the sweetness from the pumpkin cream cheese icing... it really gives it a nice spin. The original recipe is from Martha Stewart, which you can find here. Of course I changed it a tad, I added vanilla extract, more pumpkin puree and I did 1 tablespoon of homemade pumpkin spice and an extra tablespoon of cinnamon instead of the spices that were listed. 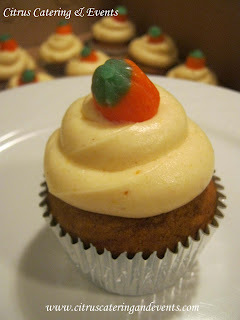 As for the icing, I added pumpkin puree and pumpkin spice to my cream cheese frosting (YUM!). I'll be making these by the dozen, so be sure to get your order in asap for your holiday parties, gatherings and such. I'll be posting more information within the next week on all the additional holiday flavors we'll be featuring this year so stay tuned!